With Sinn Fein likely to hold the seat, attention will turn to how the other parties perform. As the cold nights draw in, political campaigners in Mid Ulster will soon be braving wintry weather as they canvass the constituency. Martin McGuinness’ impending resignation as an MP will cause a by-election for the seat; the date will be set by the Secretary of State as Sinn Féin abstains from Parliament. Mid Ulster was formed in 1950 when the old Fermanagh and Tyrone constituency was split in two. It previously took in the West Tyrone area but lost this when it became a separate constituency in 1997. 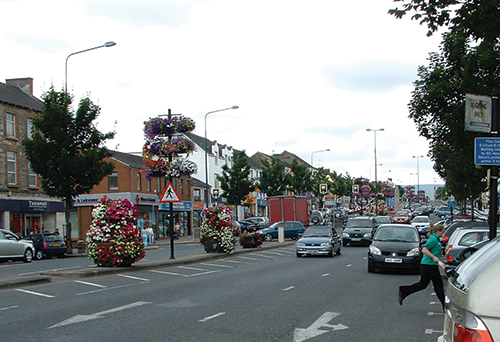 Mid Ulster now comprises Cookstown, Magherafelt and Coalisland and has around 99,000 residents. As of 1 November this year, its electorate was 67,299. Rev William McCrea had held the seat since 1983 due to a unionist voting pact but the halving of the constituency divided his support base and left the new Mid Ulster with a clear nationalist majority. Sinn Féin saw an opportunity to take a second seat and brought Martin McGuinness in from Derry. His 40.1 per cent share and majority of 1,883 in 1997 rose to 51.1 per cent and 9,953 four years later. McGuinness’ majorities subsequently increased to 10,976 and 15,363. Francie Molloy is the Sinn Féin candidate. The most interesting aspect will be the performance of the other parties. William McCrea’s son, Ian, polled 10,665 votes in 2005 but just 5,876 five years later. In the Assembly election, the DUP’s tally rose to 7,127 but the party had lost ground to the TUV whose candidate, Walter Millar, won 2,075 first preferences. This was the TUV’s second best performance in Northern Ireland and Millar had polled 2,995 votes in the previous year. The area was badly affected by the Troubles and strong memories remain. Victims’ campaigner and independent unionist William Frazer was the first candidate to declare his nomination. Dissident republicans traditionally boycott Westminster elections. Republican Sinn Féin put forward Brendan McLoughlin, a former IRA hunger striker, in the 2007 Assembly election but he received only 437 votes. The SDLP polled 6,279 votes in 2011. Its vote was smaller in the general election (5,826 votes) as McGuinness was widely expected to win. Alasdair McDonnell and Mike Nesbitt are facing their first electoral test as party leaders but Nesbitt has refused to be drawn on whether the Ulster Unionists will stand. Staying off the ballot would be interpreted as a sign of weakness but the UUP has traditionally come fourth and a low turnout could further reduce its vote. Sandra Overend, daughter of former MLA Billy Armstrong, polled 4,509 votes in 2010 and won an Assembly seat a year later with a similar total (4,409). The Alliance candidate in 2010 (Ian Butler) attracted 397 votes while his successor at the Assembly election (Michael McDonald) gained just one more. Other local political personalities include Hugh McCloy and Gary McCann (both campaigners for the Mid Ulster Hospital) and People Before Profit’s Harry Hutchinson, a trade unionist with Unite. Agriculture, construction and engineering are traditionally the main employers. Unemployment stood at 7 per cent in August but emigration is a more worrying trend for many families. Turnout was 63.7 per cent in the general election and 64.4 per cent in the Assembly election, second only to Fermanagh and South Tyrone on both occasions.